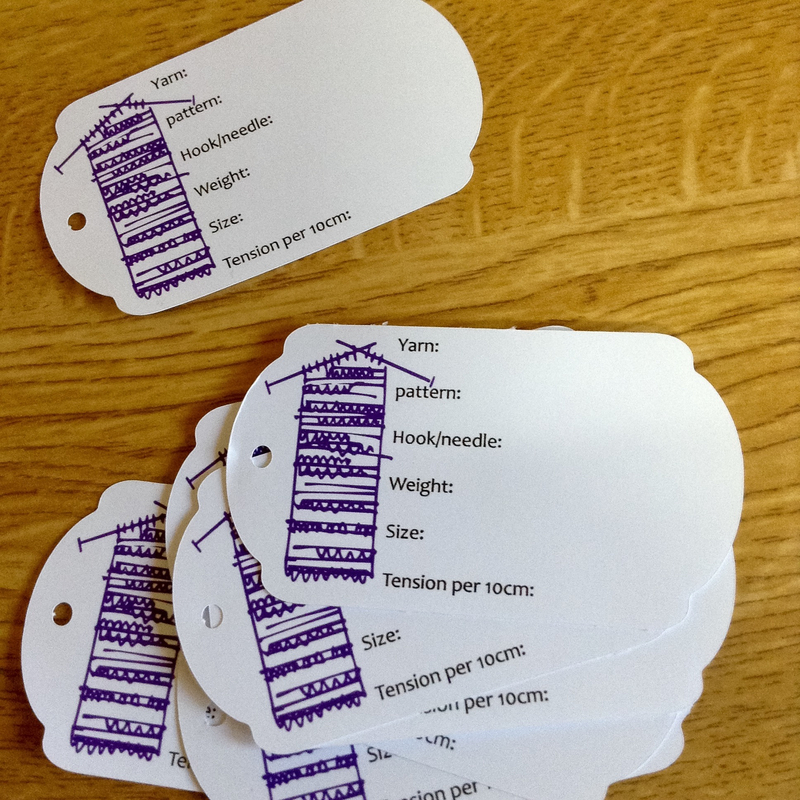 I want to print and cut some labels for labelling up my knitting / crochet swatches. Have got a nice simple tag shape to cut out - what's the easiest way to add text - just so I remember to write on all the info I need, so, Yarn, Hook size etc etc. Do I have to do this all in Illustrator and import as a graphic? You can just create the text in MTC... size it to fit the tag and arrange it as needed. Then, what I usually do is copy/paste it to a new page in the same file in case I need to go back to the original and make any changes later. Then take the copy on the new page, select all and apply Texture Snapshot at the bottom. It will appear to turn blurry, but if you go to File>Print Preview, you'll see exact how it will appear when you print it. Also, I make the tag color white so that it doesn't print in color AND make sure you go to File>Print Options and turn off Print Shape Outlines. Then, in File>Preview you should also see the text and not the shape of the tag. Also, make sure you turn on Print Reg Marks. Your project will then be ready to cut. Because you texturize the text, it won't cut... only the tag shapes will cut. Thanks @SandyMcC ; - finding it a bit frustrating because I can't seem to space the lines how I want them. Time for a cup of tea I think! @Pippin, in the user manual it goes over all the ways you can space the text. You can separate by individual letters or by lines, for example. If you split by glyphs, then you can move each letter exactly how you want. Set the Snap increment to No Snapping because that can really get in the way when you're trying to make fine movements. Once you get it sized and set up the way you want, use the Join command to turn it back into a single shape that is easy to move around on the mat. Check out the manual, section 5 for all the info on manipulating text. You can adjust the distance between lines in the window where you first enter the text, although you typically don't know what you need at that point. Thus, after you've entered the text onto the Virtual Mat, you can apply the Split function at the bottom of the screen and then reselect each line of text and apply either Join or Weld. Then each line of text becomes a single object and you can then move them, as needed, to get the desired spacing. Or select "split by line" in the text entry box. Made my tags :-) I need to get some heavier card - these are on 160gsm and they are a bit lightweight. They look awesome! Nice work!